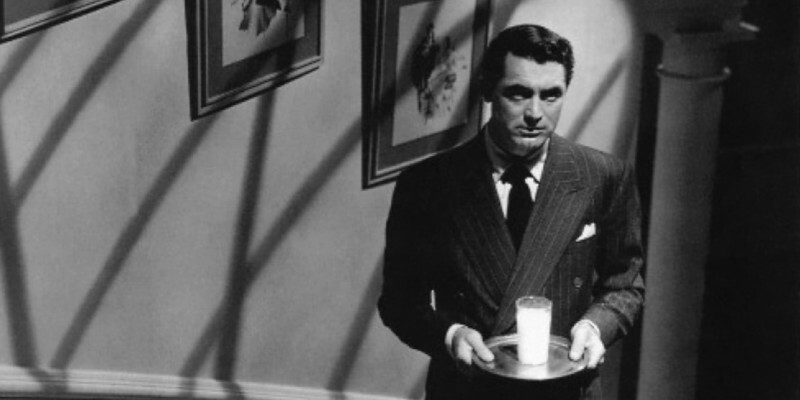 SUSPICION was a neat change of pace for Cary Grant. He’s a charming rogue once again, but this time also a cad, a bounder, a cheat, and just maybe a murderer. Grant’s polish and dapper looks work well with the black aspects of the character. Some tampering with the finished product to satisfy honchos at the studio leaves the fadeout with less punch than it needed, but Alfred Hitchcock’s direction has enough slices of unease over the ordinary to keep you hooked for 99 minutes. 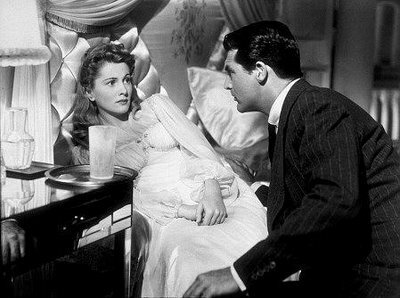 Joan Fontaine plays Grant’s naive, sheltered wife, who gets more and more unnerved by hubby’s attitudes, habits and comments, and the actress handles the mounting paranoia without going over-the-top. 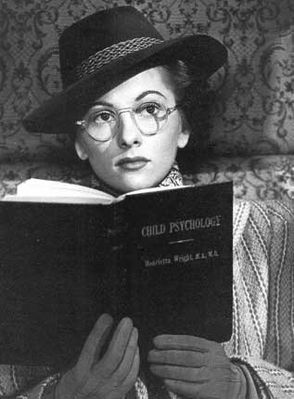 It paid off, she won Best Actress at the Academy Awards, earning the enmity of sister Olivia de Havilland, up for the prize in Hold Back The Dawn. The film was nominated for Best Picture, and for Franz Waxman’s music score. It was a big hit, making something in the area of $4,500,000, quite a haul for 1941. The production has a nice gloss, and a strong supporting cast of Hollywood’s exiled English do their thing with typical aplomb: Nigel Bruce, Cedric Hardwicke, Dame May Witty, Heather Angel and Leo G. Carroll. In this enjoyable classic, Cary refers to Joan by the pet name ‘Monkey Face’ a total of nineteen times. I said he was a cad.